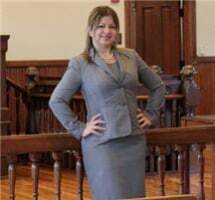 At The Law Office of Karen Rodriguez, P.A., I represent clients throughout the Clermont, Florida, area. I provide personalized legal representation in divorce, criminal defense, and other legal areas, to help clients understand their rights and walk them through every step of the legal process. Hablo con fluidez español , así que no voy a necesitar un traductor. Te puedo representar en los casos de cargos criminales, el derecho de familia y otras áreas asuntos legales en todo el Condado de Lake y el condado de Orange, Florida. I have experience as a prosecuting attorney in Marion County and Lake County, and as a prosecuting lawyer for the State Attorney’s Office for the 9th Judicial Circuit. Through this experience, I understand the law and procedures for representing my clients at trial. Regardless of the legal issues you are facing, I can provide you with sound counsel and strategic representation. At my law firm, I take pride in remaining accessible and flexible for my clients, including after-hours and weekend appointments, as well as flexible payment options that include flat fees, payment plans and payment through LawPay. Call me today to discuss divorce, criminal defense or other legal matter with an experienced lawyer.